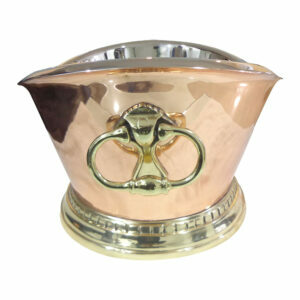 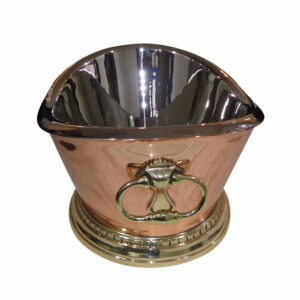 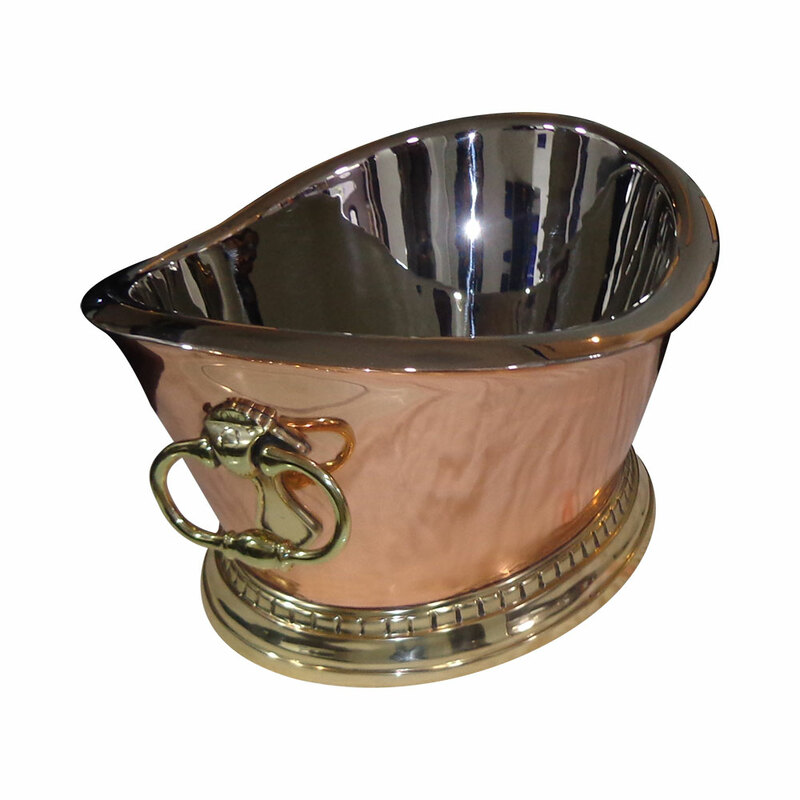 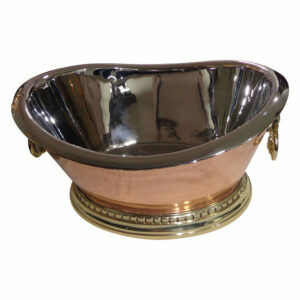 Beverage Tub Style Copper Sink is our star product and one of our finest creation. This is a uniquely designed copper sink having beverage tub like shape with lustrous nickel interior finish, brass handles and bottom. This sink is definitely going to take the aesthetics of your home to next level. Made of 16 gauge, 100% pure copper. 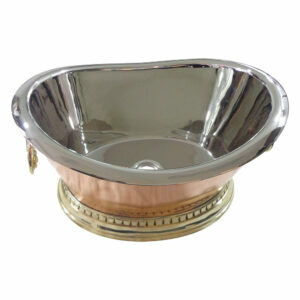 Smooth lustrous shinny surface to make it a decor must have. Shiny brass handles & base to add a final touch to its aesthetic value. Beverage Tub Style Copper Sink is our star product and one of our finest creation. 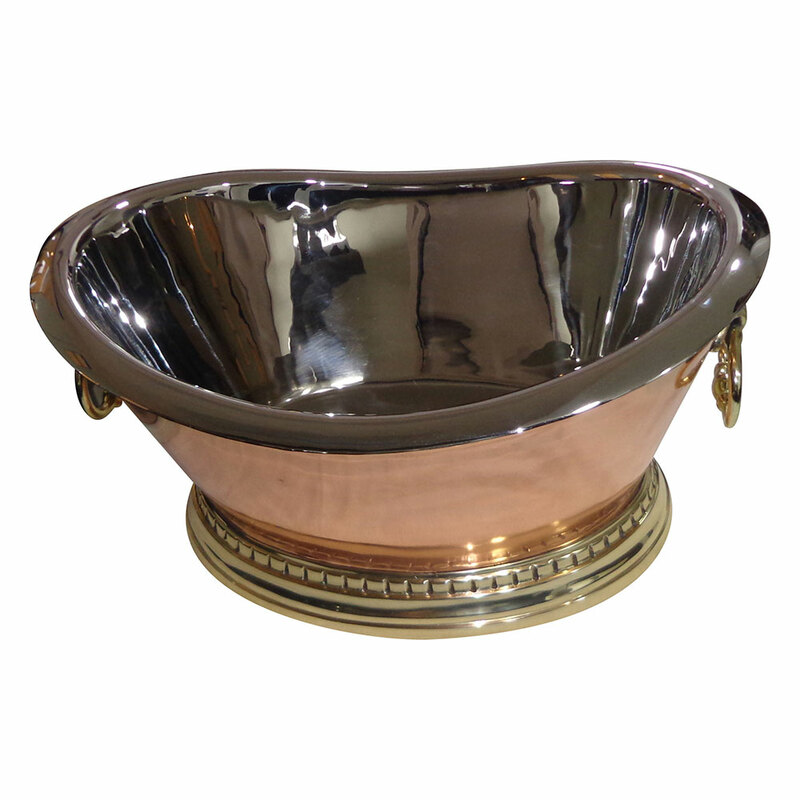 This is a uniquely designed copper sink having beverage tub-like shape with lustrous nickel interior finish, brass handles, and bottom. This sink is definitely going to take the aesthetics of your home to next level. 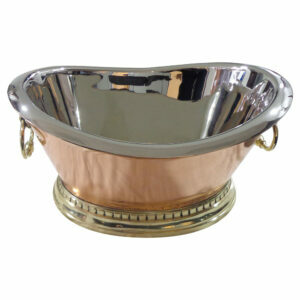 Smooth lustrous shiny surface to make it a decor must have. Soak a soft cloth in a mixture of warm water and mild detergent. 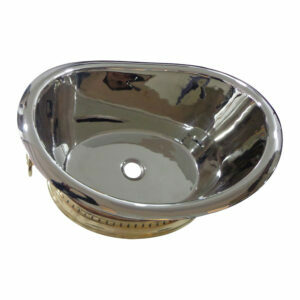 who is the designer of this Sink ? Seems to be designed by a professional designer.It is very unique, pretty,creative & extraordinary.It is the most pretty sink I have ever seen in my life.